We don’t just perform. 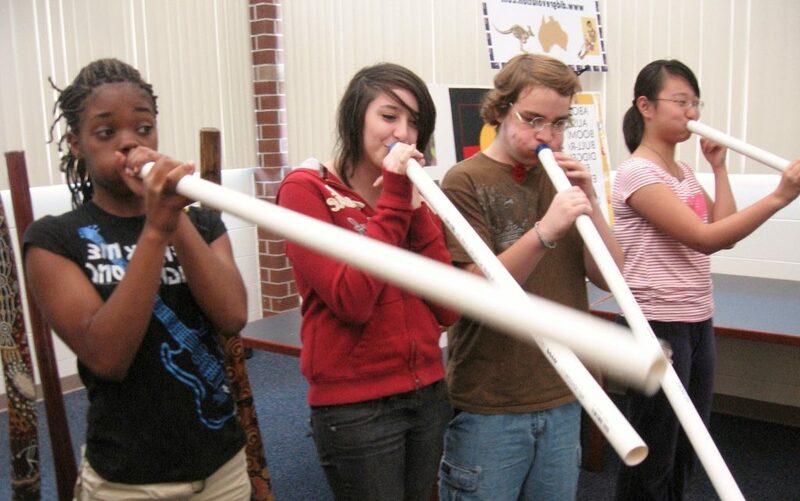 We also teach how to play the didgeridoo to kids, teens and adults! The didgeridoo, traditionally a hollowed-out tree trunk, has been played by Aboriginal Australians for at least 1500 years, and is known for its otherworldly sound. It is both simple and challenging to play. It’s physically and mentally relaxing (due to the breath work involved). It’s a gateway to educational lessons in geography, history, science, culture, art and reading. And most of all, it’s extremely fun to play! Our Aussie Funk Jam is a totally interactive and hands-on workshop. Participants learn how to play the didgeridoo, including vocalizing and creating simple rhythms, with our beginner instruments. We also explain how to make and decorate a “didge” very inexpensively. Participants will be mesmerized, inspired and motivated as they enjoy a one-of-a kind multicultural music experience. … use our beginner PVC didgeridoos. … learn how to drone and use sound variations such as tonguing and animal calls. 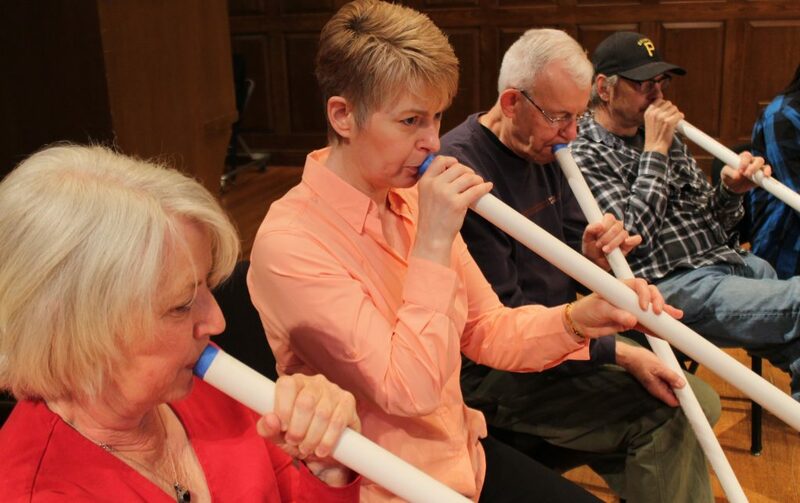 … learn the fundamental concepts of circular breathing. … learn about Australia and Aboriginal culture. 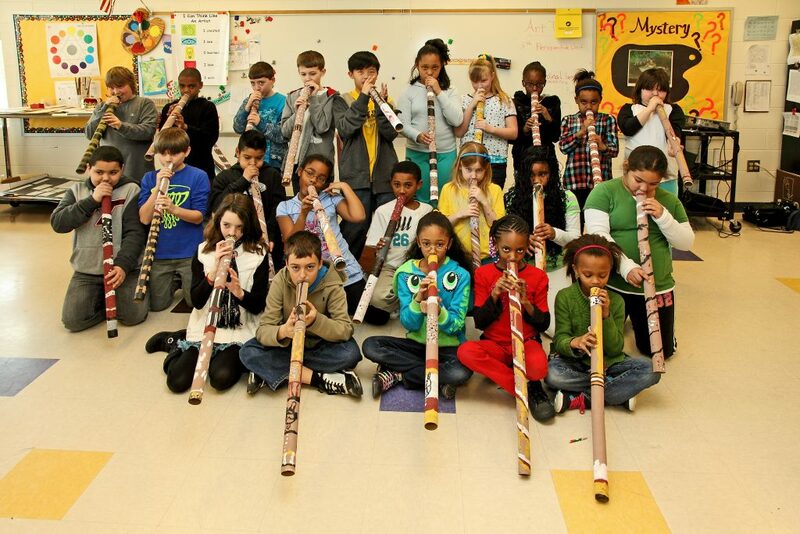 … learn how to craft and paint their own didgeridoos (on their own time). … partake in an uplifting jam session! The Aussie Funk Jam works best as an accompaniment or follow-up to the DDU show. It is best for ages 8+ and groups of 40 or less, although mature youngsters and slightly larger groups are OK.
We also offer workshops for teachers and other educators, showing how to apply unique facets of our programs to their own curriculum. These presentations are upbeat and enlightening. … how to play the didgeridoo. 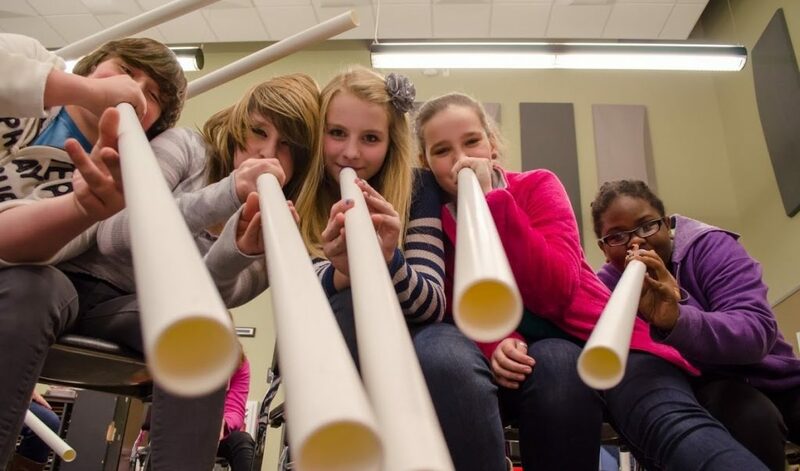 … how to make didgeridoos from cardboard tubes. … how to apply our unique brand of “edu-tainment” and cross-curriculum to their own classrooms. … how to weave cultural arts and character building into their every-day curriculum. … how to engage their students in a unique and exciting manner, with artifacts, art, music, maps, books, pictures, instruments, humor and more. … all about Australia, including its music, art, geography, history, culture and fauna. … how to think outside the box! This workshop is applicable to all K-12 educators, with a maximum of 50-60 participants per session. A full presentation is 60-90 minutes, but we can still deliver a rich and lively workshop in 30 minutes. If necessary, we can strip down the presentation to a fast-paced 15 minutes, but this won’t allow enough time for teaching how to play the didgeridoo. 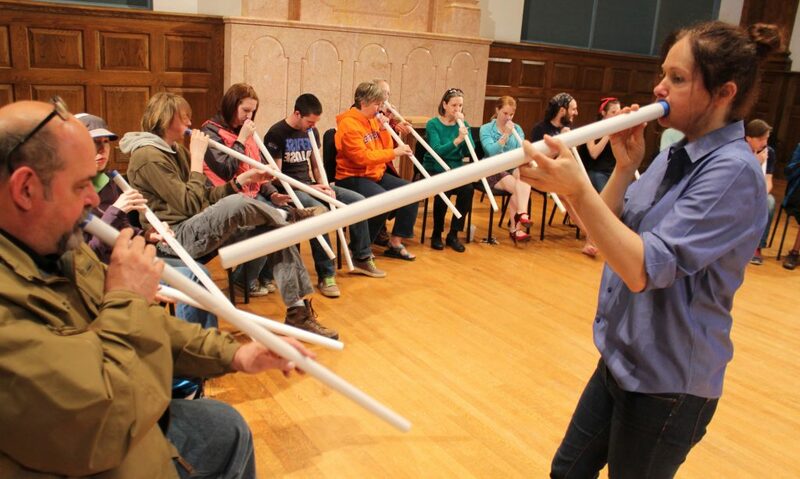 Participants learn more advanced didgeridoo rhythms and playing techniques, including circular breathing. Upon request, they also make, paint and decorate a cardboard didgeridoo! The residency is best for ages 8 and up.